Front Sight Firearms Training Center (frontsight.com) near Las Vegas is the country's largest (1,000 training per day), and in my opinion, the best. In 5 days go from zero to conceal carry status in 39 states, as I have. This specialized training includes going through shooter houses and hostage rescue scenarios where you train to shoot a target the size of a pack of cigarettes off of a person's shoulder. All my training Primary Instructors have been retired military police officers who have 4 other secondary assistant instructors per class. 80 students per class shooting in two rotating groups. I am a very good shot and have been shooting 3,000 rounds per year so I thought I knew it all. After this class, I realized that 90% of what I learned was new to me and my accuracy was vastly improved where on my final concealed carry testing, I shot 29 out of 30 rounds through the same 1.5 inch diameter hole. Nice, new facility in the Mohave Desert, box lunches on site, lectures during lunch. Costs can be reasonable if you sign up for their email and become a member. $50 per year for security review, $200 for 5 day conceal carry class plus gun rental (if necessary) plus 300 rounds of ammunition last time I checked. Closest motels are about 10 miles away in Parumph, Nevada, otherwise Las Vegas is 35 miles (1 hr) drive which is what I did. Gun confiscation, that is the leftist, liberal, democrat goal and we need to correct them all the time. Why do we like to rapid fire, it's fun.... You shoot rapidly by quickly pulling and releasing the trigger. If you don't have a 'bump-stock', you can still bump-fire with some practice. A bump-stock was reviewed by the Feds and found not to meet the definition of a fully automatic since one pull of the trigger means one bullet will be fired. An example of a unapproved accessory was an electric motor fitted to a trigger mechanism and it's cam action kept pushing and releasing the trigger with one pull of the electric switch trigger. An AR series is an MSR, a Modern Sporting Rifle 90% of all rifles made are AR look a likes It is not a military rifle, just looks like one. A standard AR is a low power varmint rifle. In WWII, military rifles were 30-'06 and could kill a moose. If we are going to increase age for gun ownership, let's also raise the age for voting, boozing, smoking and drugs to 25, it will help stop the childish millennials. "A FORCE SUPERIOR TO ANY BAND OF REGULAR TROOPS" that means the AR-15 is not enough. 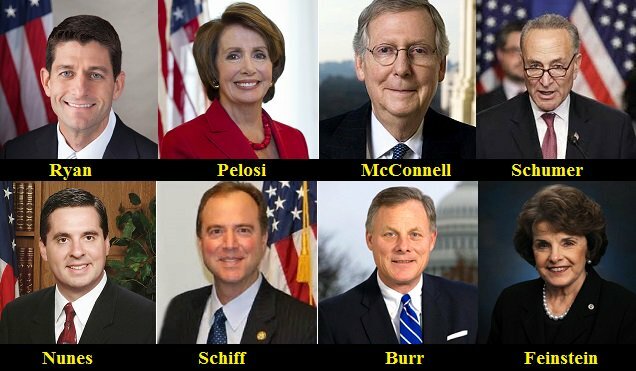 A new name in the greatest criminal conspiracy in the history of American politics, namely the conspiracy by liberal Democrats to frame and destroy President Trump with the 35-page lie we now know as the Trump dossier, is now being mentioned, but investigators want to keep his name as hush-hush as possible, obviously for his own protection and to maintain as much secrecy as possible in the investigation of the Obamagate scandal. Bill Preistap is the Director of the FBI Counterintelligence Division and Peter Strzok’s boss. Multiple sources are now corroborating that Preistap has flipped and is fully cooperating with investigators in the Obamagate scandal. Preistap was certainly a central figure in the acquisition of the Trump dossier, using it to obtain a FISA warrant to wiretap the Trump campaign even though the document and its source (Sidney Blumenthal) had no credibility whatsoever. Clearly, Preistap knows every detail of the conspiracy to frame President Trump. Comey threw Preistap under the bus in his testimony before Congress. When asked why he didn’t notify Congress of the surveillance of candidate Trump as required by law, Comey said that he kept the Trump investigation secret because Priestap advised him to. 2. Bill Priestap is the FBI Director of Counterintelligence. 3. 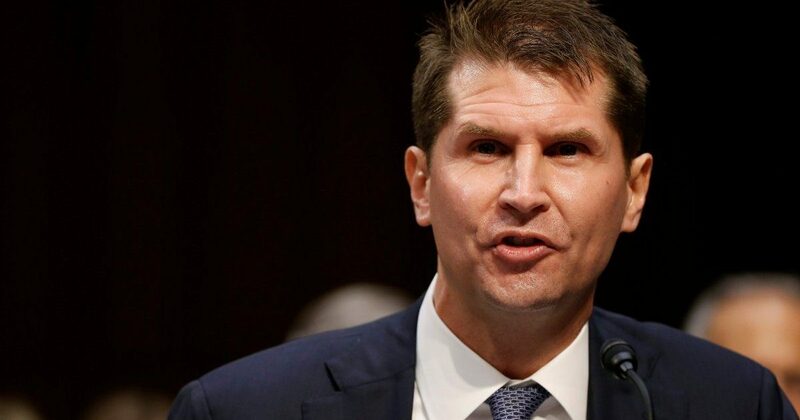 Bill Priestap was the immediate supervisor of FBI Counterintelligence Deputy Peter Strzok . Priestap is #1, Strzok was #2. 4. The investigation into candidate Donald Trump was a counterintelligence operation. That operation began in July 2016. Bill Priestap would have been in charge of that, along with all other, FBI counterintelligence operations. 5. FBI Deputy Peter Strzok was specifically in charge of the Trump counterintel op. However, Strzok would be reporting to Bill Priestap on every detail and couldn’t (according to structure anyway) make a move without Priestap approval. 6. 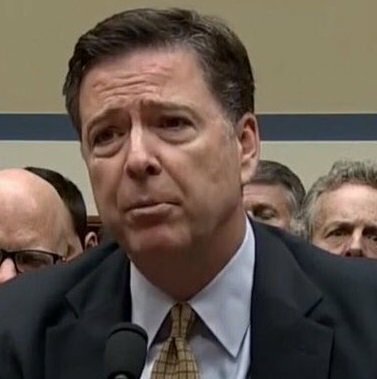 On March 20th 2017 congressional testimony, James Comey was asked why the FBI Director did not inform congressional oversight about the counterintelligence operation that began in July 2016. 9. FBI Director James Comey was caught entirely off guard by that first three minutes of questioning. He simply didn’t anticipate it. 11. 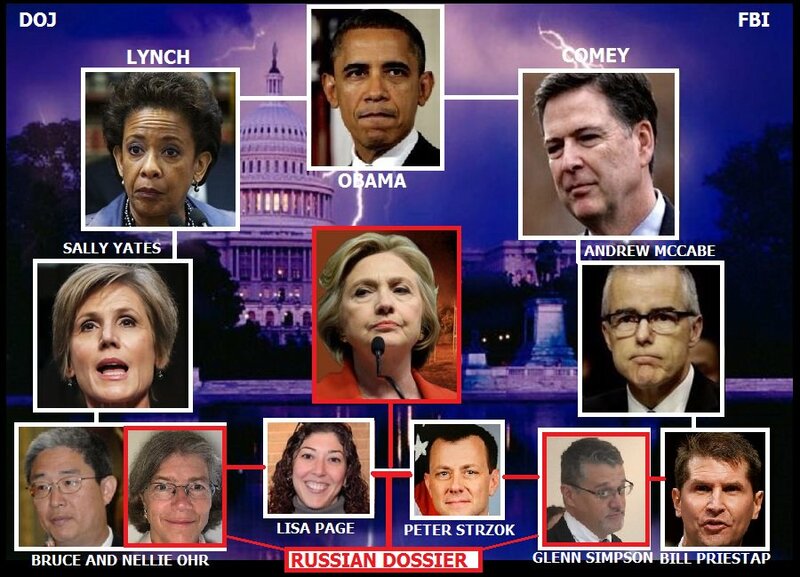 Based on what we know, and what has surfaced recently, we can all see why the FBI would want to keep it hidden that they were running a counterintelligence operation against a presidential candidate. As FBI Agent Peter Strzok said it was an “insurance policy”. 13. So James Comey is telling congress that the reason he didn’t inform the statutory oversight “Gang of Eight” was because Bill Priestap (Director of Counterintelligence) recommended he didn’t do it. 14. That’s called creating a “fall guy”. FBI Director James Comey is ducking responsibility in March 2017 by blaming FBI Director of Counterintelligence Bill Priestap for not informing congress of the operation that began in July 2016. (9 months prior). 15. At that moment, that very specific moment during that hearing, anyone who knows how these things roll could see Comey was creating his own exit from getting ensnared in the consequences from the wiretapping and surveillance operation of President Donald Trump. 16. Bill Priestap is James Comey’s shield from liability. 17. There has been NO MENTION of Bill Priestap in any of the recent revelations, despite his centrality to all of it. 18. Bill Priestap would have needed to authorize Peter Strzok to engage with Christopher Steele over the “Russian Dosssier”. 19. Bill Priestap would have needed to approve of the underlying documents that were used for both FISA applications (June/July and Sept/Oct). 20. Bill Priestap would be the person to approve of paying, or reimbursing, Christopher Steele for the Russian Dossier used in their counterintelligence operation and subsequent FISA application. 21. Without Bill Priestap involved, approvals, etc. the entire Russian/Trump Counterintelligence operation doesn’t happen. Comey’s testimony is also evidence of Priestap’s importance. 24. 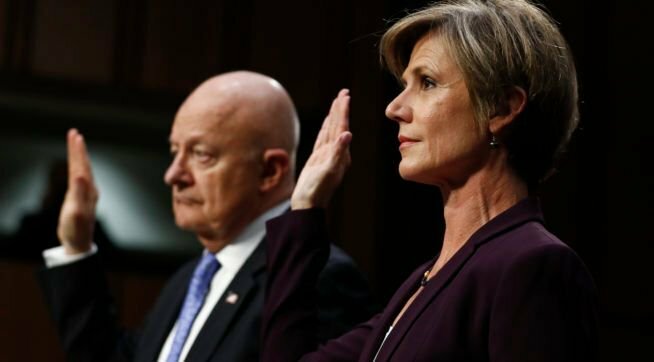 However Deputy AG Sally Yates did talk about Bill Priestap during her testimony. 25. Yates said she and Bill Priestap traveled together, Jan 26th, to the White House to inform Don McGhan (WH Counsel) of Michael Flynn “misleading statements” (based on Pence media reports and Flynn prior ambush interview Jan 24th). 26. 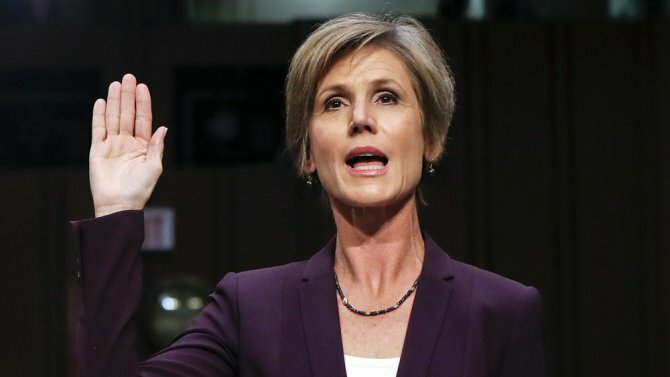 According to Sally Yates testimony, she and Bill Priestap reportedly presented all the information to McGahn so the White House could take action that they deemed appropriate. 27. 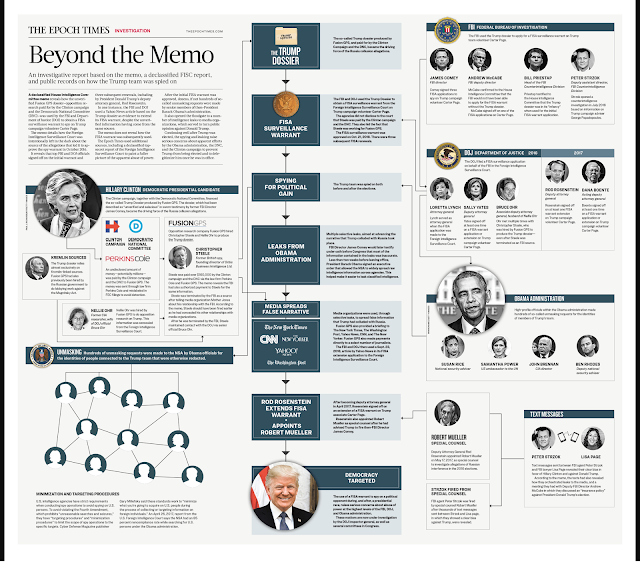 So you can see that Bill Priestap is a central figure. Comey defers to him; Yates relied on him; Strzok reports to him; etc. 28. Yet there’s no mention of Bill Priestap in any of the explosive investigative story-lines in the past two weeks. Why? 29. Bill Priestap is FBI Director of Counterintelligence. There’s no way he hasn’t been caught inside the investigative net. 30. Priestap’s boss, Andrew McCabe has been caught. 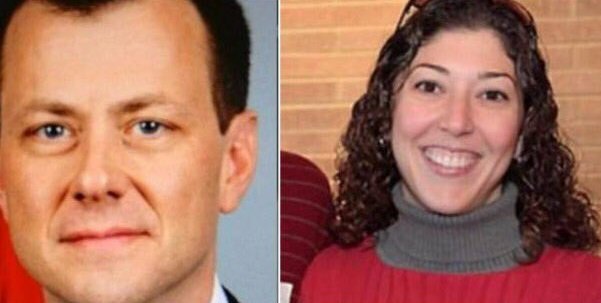 His subordinate, Peter Strzok, has most certainly been caught. And previously FBI Director Comey pushed him in front of the bus. 31. Either Priestap is going to be the attempted fall-guy for the entire scheme. Every year every military base has an open house, military weapon display, or air show. I went out to sea on the air craft carrier Eisenhower along with 13,000 others on a dependents day cruise. It is my best memory of my life being on deck while they launched and landed A-6 and F-14s, flew by at 1,000 miles per hours, and dropped bombs into the ocean. Bottom line, having a military parade in Washington DC as a reminder to the despots of the world of USA capability is okay with me.